..he performs the song dressed in full evening attire, to a very appreciative audience. It is a great performance, ironically far surpassing his vocal on the actual record. He even plays some demon harmonica. With typical perversity, he also changes the words, and the entire performance clocks in at over six minutes. 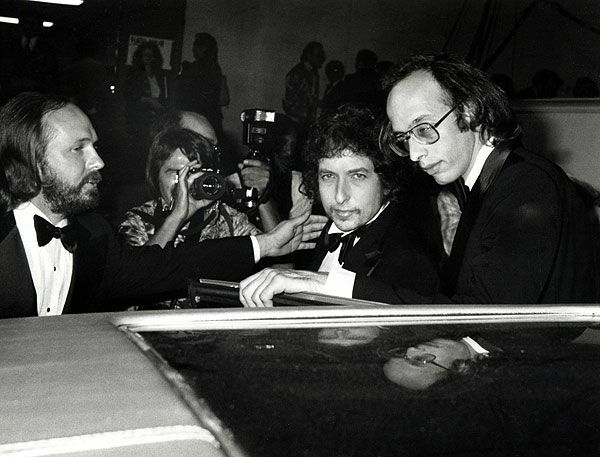 Not surprisingly, Dylan wins his first Grammy Award, thanking in his acceptance speech “The Lord, Jerry Wexler, and Barry Beckett … who believed.” The award ceremony takes place at the Shrine Auditorium in Los Angeles and receives the usual extensive television coverage. But you have to serve somebody. 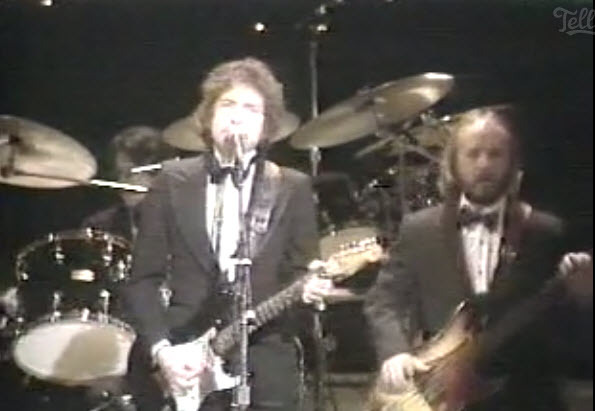 Dylan won a Grammy award (his first) for “Gotta Serve Somebody,” which was judged “Best Vocal Performance of 1979.” He and his band attended the televised award ceremony (February 27, 1980) and delivered a very hot, seven-minute version of the song, complete with new lyrics and even some harmonica playing. Dylan wore formal dinner wear (white tie) and thanked the Lord and his record producers. Hi Egil ! Many thanks for sharing! Dylan had some outstanding live versions of this song between 79 and 81. The album version is nice and tight, but it is quite tame compared to what it would become over the next couple of years. This is kind of strange, he seems to get lost a couple of times. When he changes the words is it planned? here he seems to be doing it on the fly. I prefer the record and the SNL version.